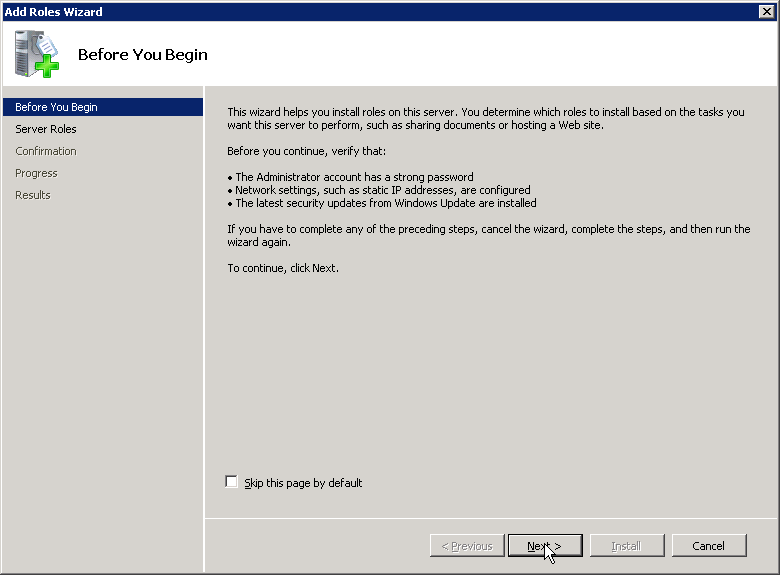 This how-to will show you how to set up Internet Information Services (IIS) 7.0 on a Windows Server 2008 R2. 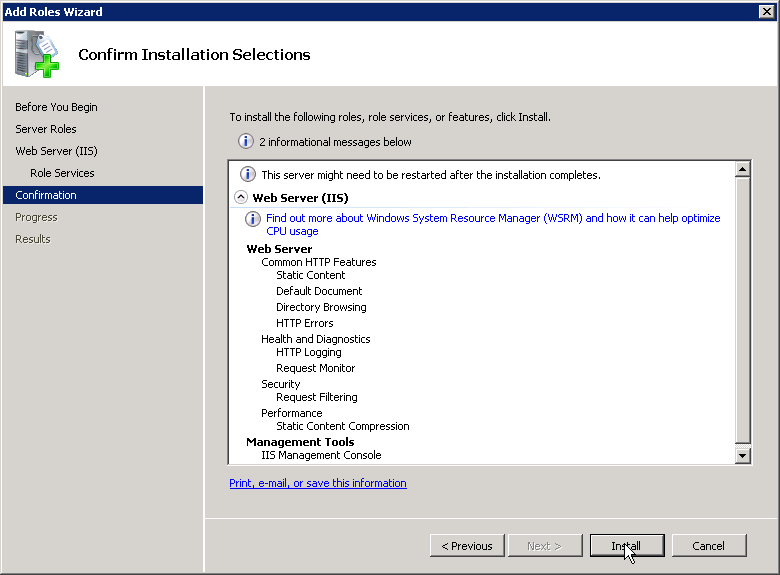 A Windows Server with Administrator access. If you do not already have a server, you can spin up a Windows Cloud server in under 30 seconds with Atlantic.net. Open the Server Manager by clicking on the Server Manager icon located at the bottom left of your task bar. If you are unable to locate the icon, click on the Windows start button, click Control Panel. 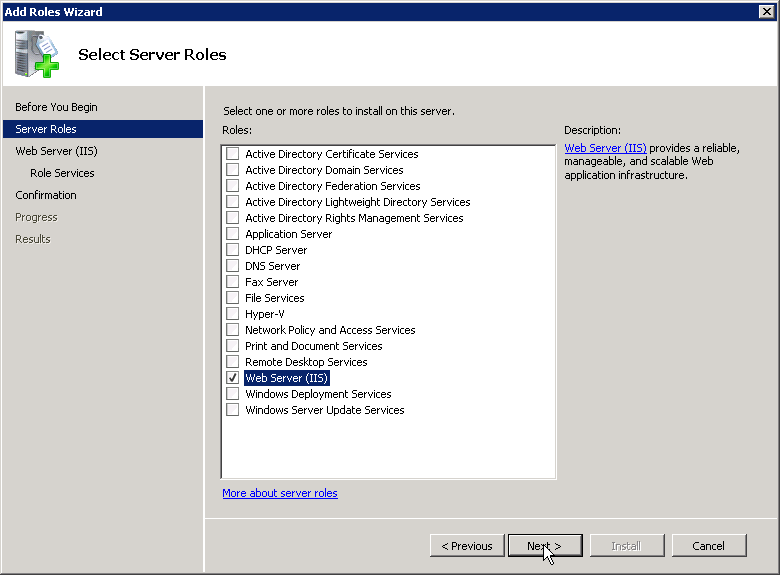 In Control Panel, click System and Security, and then Administrative Tools and lastly click on Server Manager. In the Server Manager, click on Roles and then Add Roles. The Add Roles Wizard should open and you can click Next on the Before you begin section. 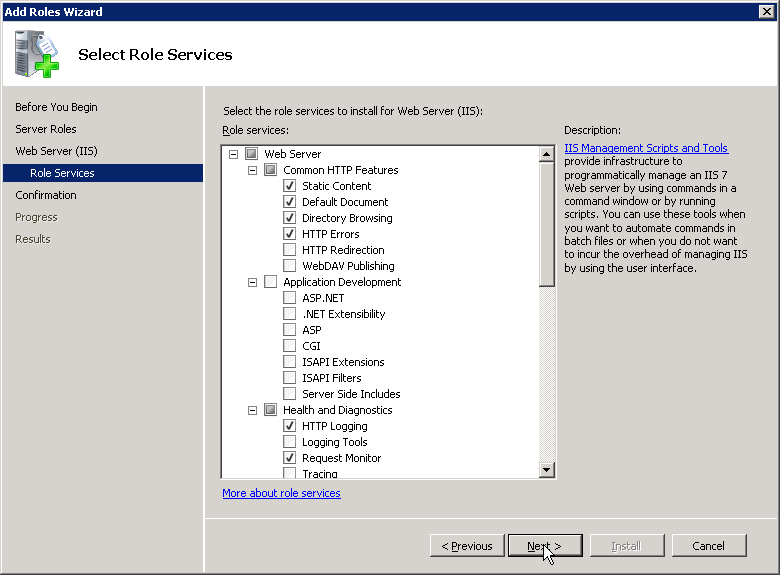 In Server Roles, check the box next to Web Server (IIS) and click Next. 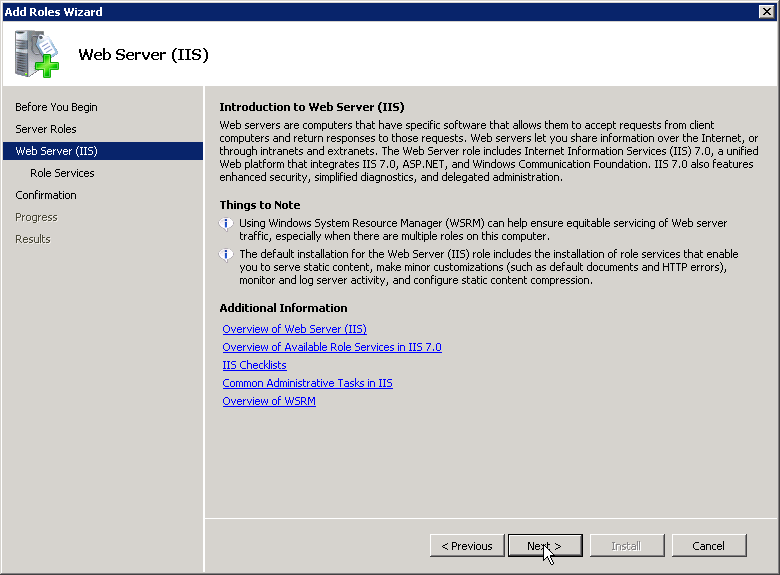 Click Next on the Web Server (IIS) information page unless you would like to read through it. 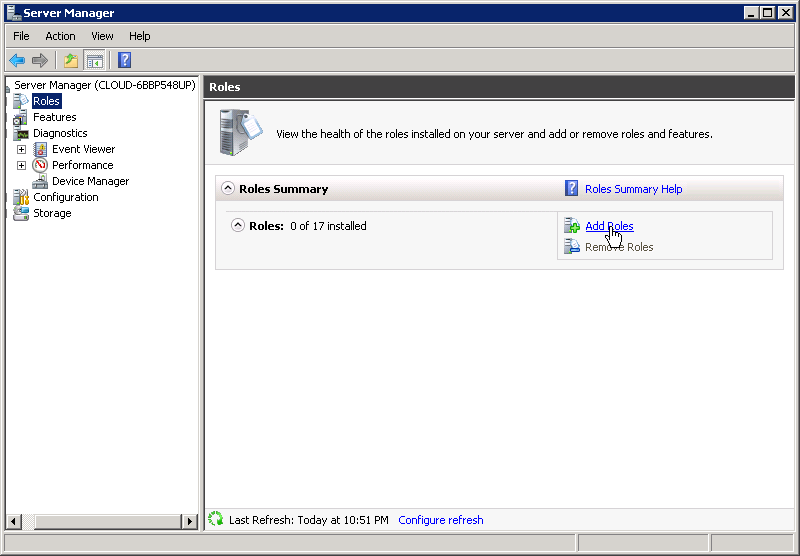 Review the Role Services being installed, you can install additional ones if you would like. Once ready, click Next. Review what is being installed. Once you are ready, click Install. You should see a progress bar. Once complete, then you can click on Close. 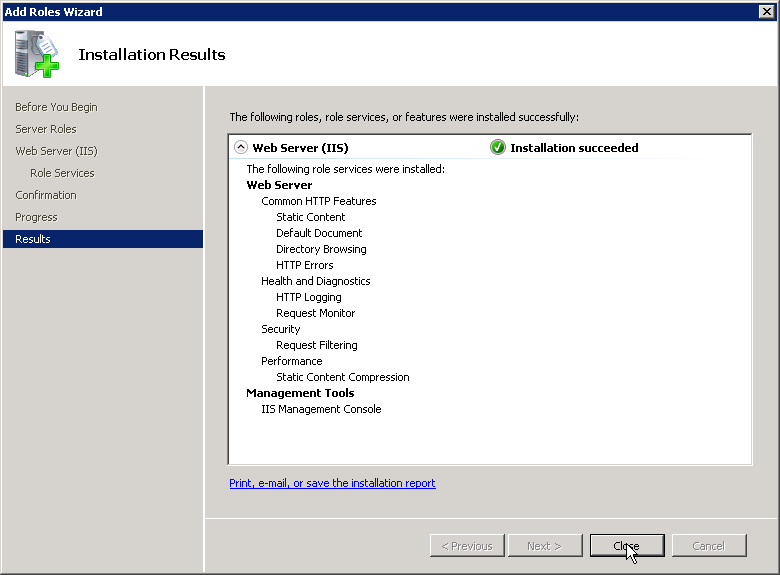 IIS 7 is now installed. 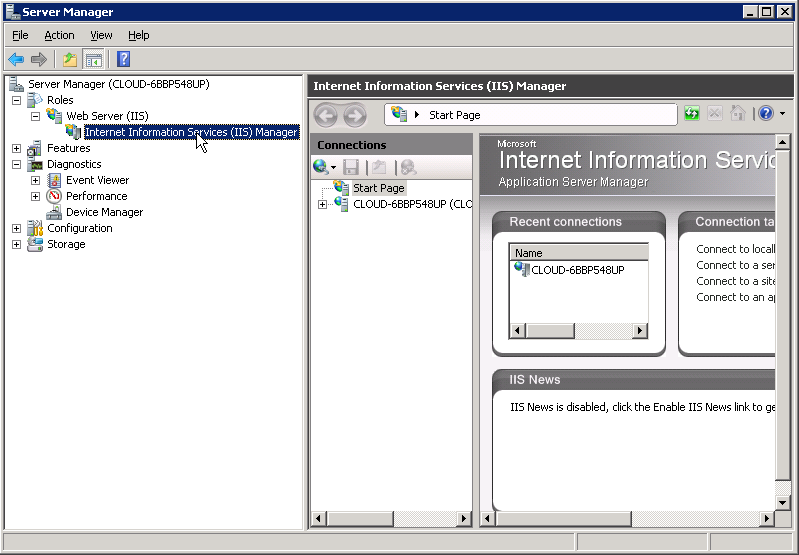 To open IIS, open Server Manager, expand Roles then Web Server and click on Internet Information Services (IIS) Manager. You can also open IIS by searching for Inetmgr.exe and pressing Enter or going to Start>All Programs>Administrative Tools>Internet Information Services (IIS) Manager. Since 1995, Atlantic.Net has been providing internet services to customers. In 20+ years of service, our solutions have been focused on providing the very best in web solutions to our valued customers! Cloud hosting is just one of the many hosting services offered by Atlantic.Net – We also offer dedicated, managed and HIPAA compliant hosting services. Contact us today for more information on any of our services!